All the registration numbers for sale within the UK and Northern Ireland can now be searched either online or over the telephone from our VRM Swansea Plates4less Offices! Prices start from under £150 for dateless Irish number plates right up to many thousands of pounds for those extra special cherished marks. The majority of our customers have a budget to spend between £250 and £1200 and luckily this is the exact price range which contains the majority of numbers for sale on the market today! There are literally millions and millions of great registration marks on the open market with us, looking for a new home. So how do you find the one that’s right for you? It’s really quite simple. Just use the "Find Number Plates" link at the top of this page and you can also click this number plates search link for even more searching options . If you’re looking for a birthday or anniversary gift then you can’t get more personal than a private registration number plate which can be transferred over and over again (every time they get a new car) and will be cherished by the recipient forever. 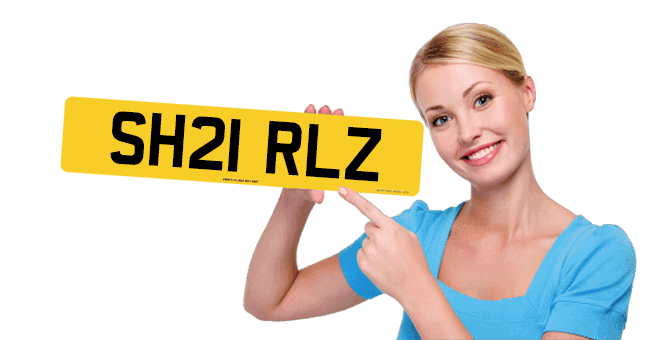 We have lots or great number plates ideas for you, just click here! If you’re new to the world of personalised car plates then it’s worth taking a quick look at our comprehensive and informative information faq pages by clicking here. The one you choose is ultimately down to you but we hope you’ll feel free to give us a call on our local rate number shown at the top of this page with any queries you need answering or other help you might need. We have just begun adding the comments of some of our past customers so why not click here to see what they thought of our service and their new registration numbers ?